At Spark Hire, we know hiring top talent is no easy feat. With more applicants than ever, it’s especially important to make sure you’re staffing your company with the right candidates. Thankfully, the HR field is full of great thinkers willing to share their insights and engage in meaningful discussions about the challenges we all face. Whether it’s talking about social media sourcing or video interviewing, these great bloggers are on the cutting edge of the recruiting field. 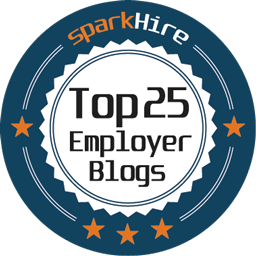 Below are the Top 25 Must Read Blogs for Employers looking to hire the best talent. These blogs, listed in no particular order, are full of useful advice, great tips and funny anecdotes from the world of hiring. While there are many great blogs for employers, these 25 top off our list of “must reads.” They offer valuable information and unique content, have many followers, and promote meaningful discussions. Enjoy this list? Check out our list of the best blogs for job seekers!